Sunset Beach Bliss - Now More Blissful Than Ever With Brand New Beds!! 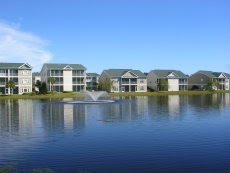 We have purchased brand new mattress sets and frames for all the bedrooms at Sunset Beach Bliss! Original Mattress Factory delivered them last week, and I am looking forward to our next visit! Ahhhh . . . ! Nothing like an extra-luxurious sleep when you're on vacation and don't have to get up for work! Now that is Bliss! The Museum of Coastal Carolina in Ocean Isle, NC, will celebrate 20 years of being an excellent source of family fun, with Family Day on Saturday, April 23, 2011! The event will feature a variety of free and small-admission fee activities, such as a live snake program, touch tank, and scavenger hunt, face painting, duck pond, nature crafts, and games. My family has been visiting the museum for years, and there is always something new to discover each time, with new exhibits and activities being added all the time! Details on Family Day are available on the Museum's online schedule of events. 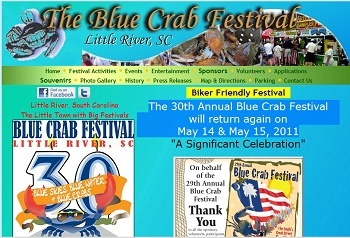 The 30th Annual Blue Crab Festival will return again on May 14 & May 15, 2011. My family loves attending, and each year it gets better and better, offering more great food, handcrafts and art, music, games and entertainment for young and old.